Sunglasses have gone from just protective eyewear to being fashionable and classy and Sunglasses shop aims to make it so for you. As we know, summer isn’t complete without that perfect sunglass to give you protection from the sun everywhere you go. Be it the office, hang outs with friends, the beach, family time out or just some casual outing, you can look trendy and make a fashion statement by simply shopping from their catalogue list. There is always something for everyone: men, women and kids alike and whatever the occasion is, whether simple work affair, casual or sports, they have got what you want! 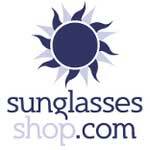 Sunglasses Shop is your number one online sunglasses stop. You can shop for every detail including the frame type and colour, lens colour and brand. They feature a lot of brands that have been known for their fashionable sunglasses. Prescription sunglasses and goggles are available for everyone as well. The prices for the glasses are competitive and students are given student discounts. Free delivery for items ordered is available and free returns too in cases where it applies. Subscribing to their newsletter upon your first purchase entitles you to a discount. Shop style, shop amazing!